What is intuitive painting? Intuitive painting is painting by beginning with mark making free of a plan and following intuition, and mindfulness in the body and mind. One learns to respond to mark making with layers of paint. In return, from a little line or mark images, symbols, or stories may emerge. You paint in layers so your first layer may be covered up completely as a warm up or part of the painting may show through the next layers. 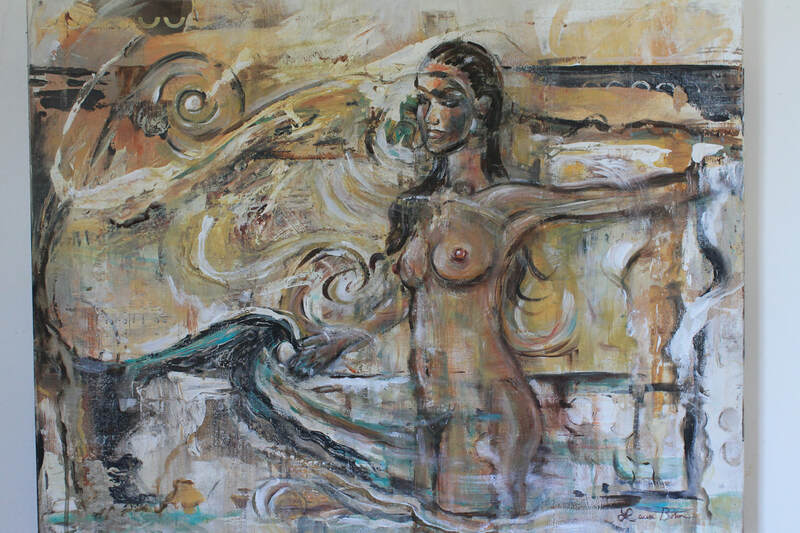 It is a very freeing experience for artists used to painting subject matter. I paint both traditionally, and intuitively. Intuitive painting can lead to an abstract painting or an expressionistic painting with imagery involved. Either way, the mark making leads you. As we say in art therapy "trust the process". (Quote by art therapist Shaun Mcniff). 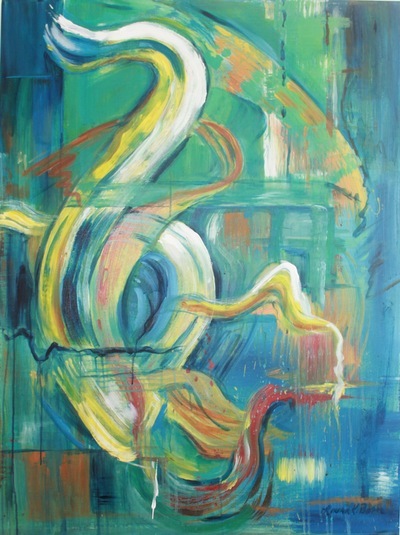 Intuitive painting is a technique used by artists and art therapists. 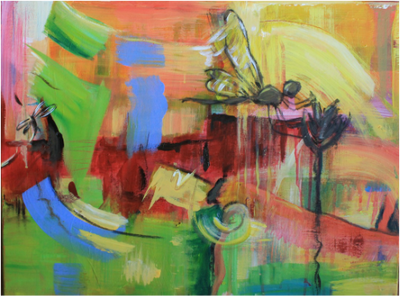 I am both a professional artist and Art Therapist with a masters degree in art therapy. Watch this little video I made on intuitive painting. 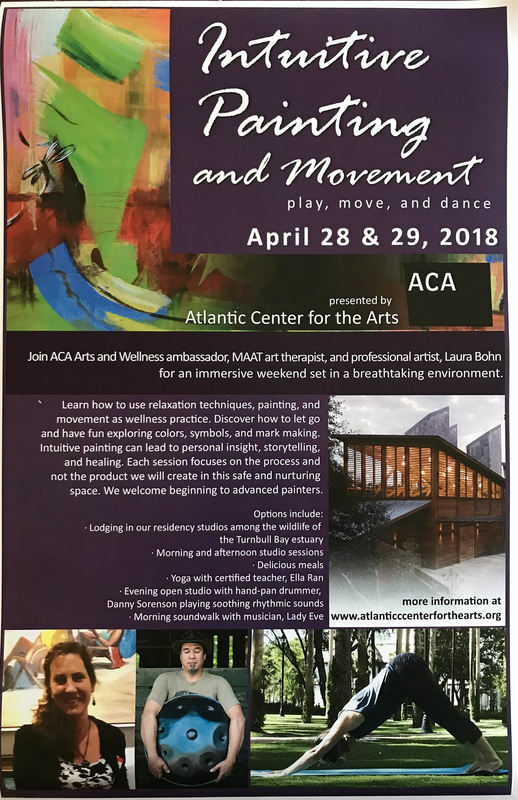 Join ACA Arts and Wellness ambassador, MAAT art therapist, and professional artist, Laura Bohn for an immersive weekend set in a breathtaking environment. Learn how to use relaxation techniques, painting, and movement as a wellness practice. Discover how to let go and have fun exploring colors, symbols, and mark making. 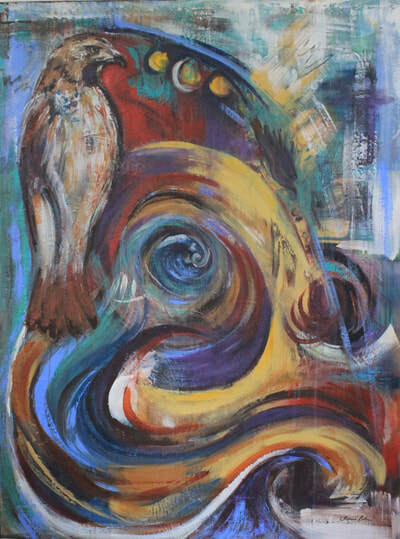 Intuitive Painting can lead to personal insights, storytelling, and healing. Each session focuses on the process and not the product we will create in this safe and nurturing space. We welcome beginning to advanced painters. Retreat options include, lodging in our residency studios among the wildlife of the Turnbull Bay estuary, delicious meals, morning and afternoon studio sessions, yoga with certified instructor, Ella Ran, evening open studio with hand-pan drummer, Danny Sorenson playing soothing rhythmic sounds, and a morning soundwalk with musician, Lady Eve.